Relemac Technologies Pvt. Ltd. is one of the leading Coaxial Cable Manufacturers from India. Our wide range of Cables and Wires including Digital coaxial cable, Industrial Braided Cables, Fiber Optic Cable, Twisted Pair Cables, Twin Satellite Wire, etc. is designed in compliance with the industry defined norms of quality. Our Digital Coaxial Cables and other Coaxial Cables variants are high in demand. Consequently, we have emerged as one of the prominent Coaxial Cables Wholesalers, Coaxial Cables Suppliers and Coaxial Cables Exporters in India. 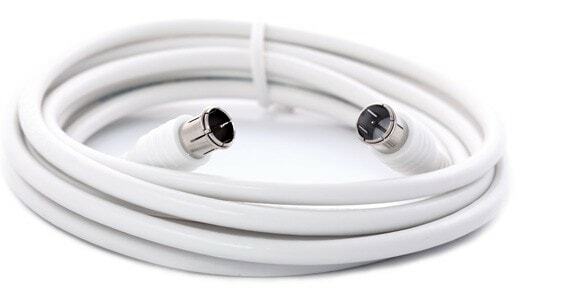 Besides, the available Coaxial Cable For Sale is reasonably priced. Buyers can place orders with us to buy Digital Coax Cable, 50 ohms Corrugated Copper Tube, 50 ohms Radiating, Coaxial Power Cables, Brading Type 50 ohms, Wholesale Coaxial Cables, etc. .
Relemac Cables have the central conductor of solid stranded bare electrolytic grade 99.97% pure copper. The secondary conductor is specially designed with polyaluminium tape, applied longitudinally which overlaps and is bonded on the foam dielectric. Aluminum alloy wire with high tensile strength is braided and applied to the aluminum tape with specified coverage. The cable is then jacketed with a special long lasting UV resistant PVC compound. All Customer's specifications are available.